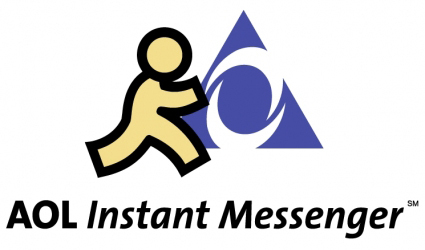 Do people use AOL Instant Messenger anymore? Create profiles and stalk their crushes and check away messages for hours on end? I hope so or else those of us who were teenagers around the turn of the millennium will look awfully stupid to pretty much everyone else. Well, just in case young adolescents are still OMG-ing and ROFLMAO-ing all over themselves, Stephanie Georgopolus at Thought Catalog has written a pretty spot on "How To" guide for creating a proper AIM persona. Your profile is where people go when they want to delve deeper. Who is this DaNcEx85? What makes her tick? This is where you splay your favorite Fleetwood Mac lyric and where you put your anniversary date (following this format: “dd.mm.yy <3 always be my baby”). This is where you show your softer side. I'd be lying if I said I didn't have that direct quote in my profile at one point in my life. How embarrassing. You can (and absolutely should) read the rest here. Special thanks to Drea over at bubbles and banjos for sending over this fantastic gem to start the week.